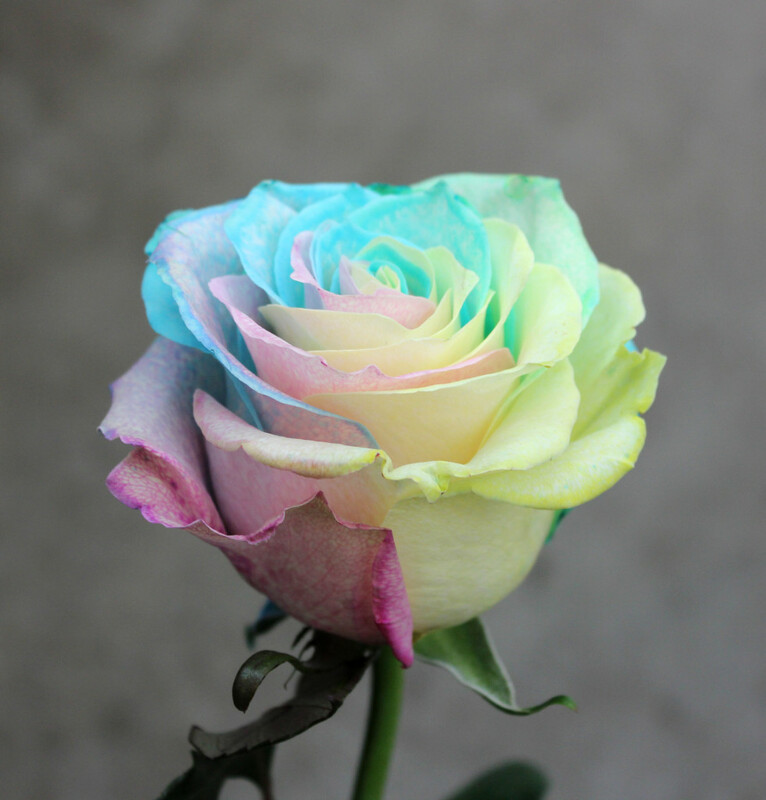 Tinted Rainbow Pastel Mo is a stem dye injected rose. 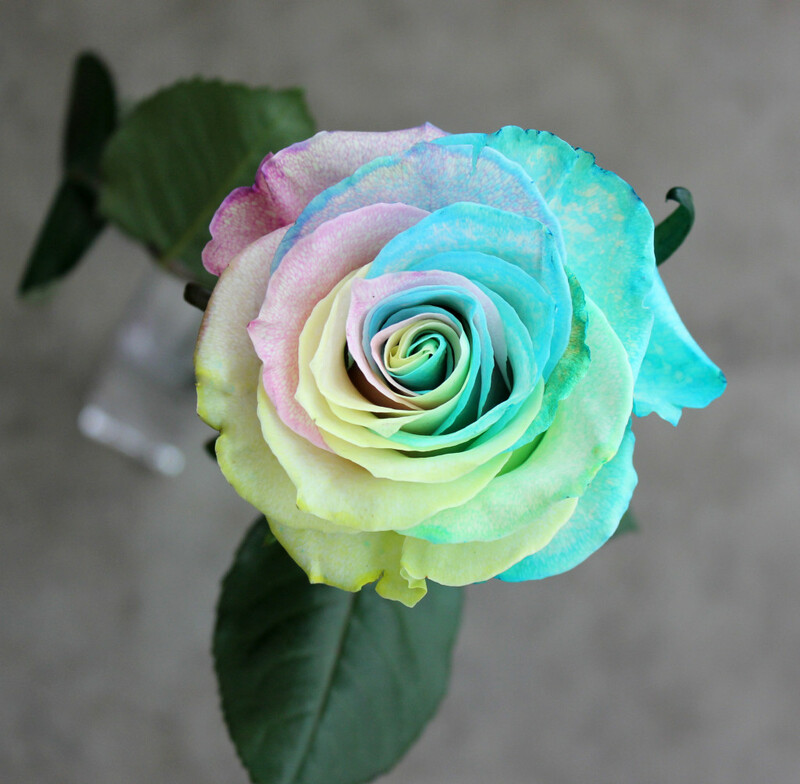 This rose has few thorns and a slight fragrance. 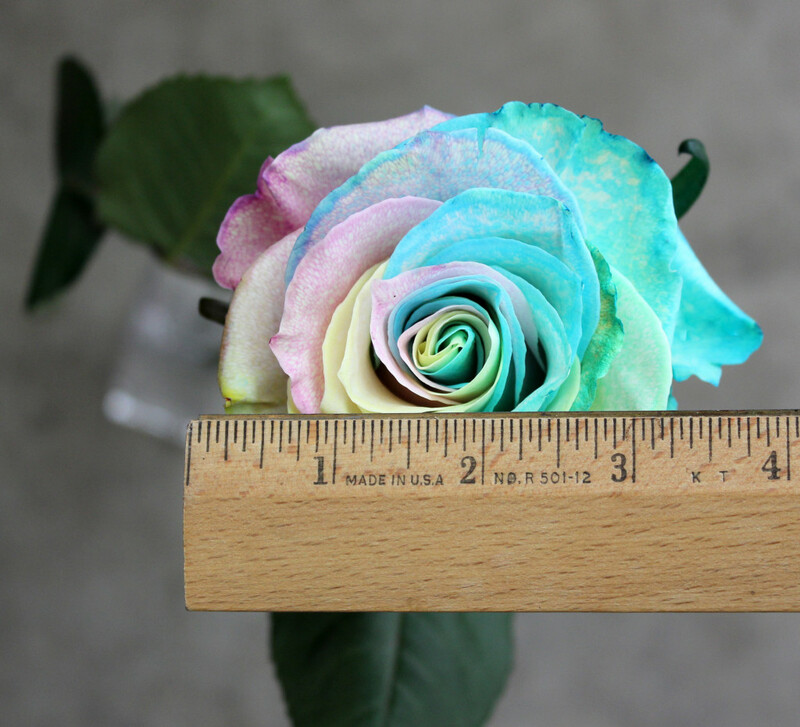 It measures to about 4 inches in diameter.